Opened in 2010, the Holiday Inn Resort Vanuatu is a 4-star premier resort located just 2 kilometres from downtown Port Vila and 12 kilometres from Vanuatu‘s Bauerfield International Airport. The resort covers an area of 60 acres and sits on colourful, natural tropical gardens on the edge of the serene Erakor Lagoon. 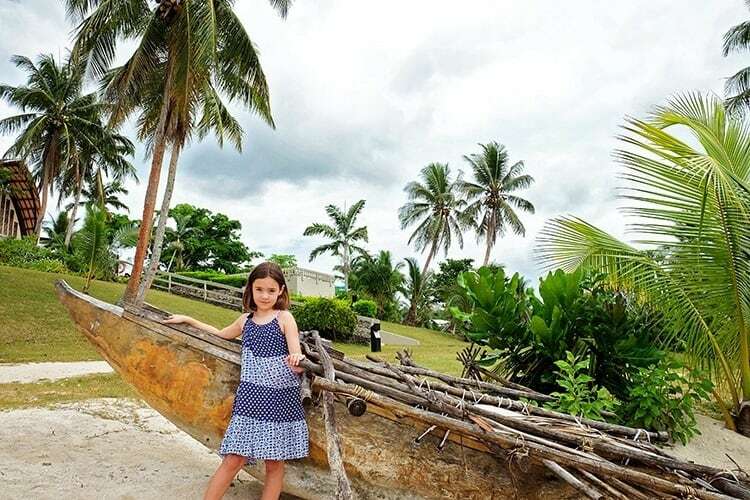 It is a great place to base yourself whilst you explore all that Efate Island has to offer! 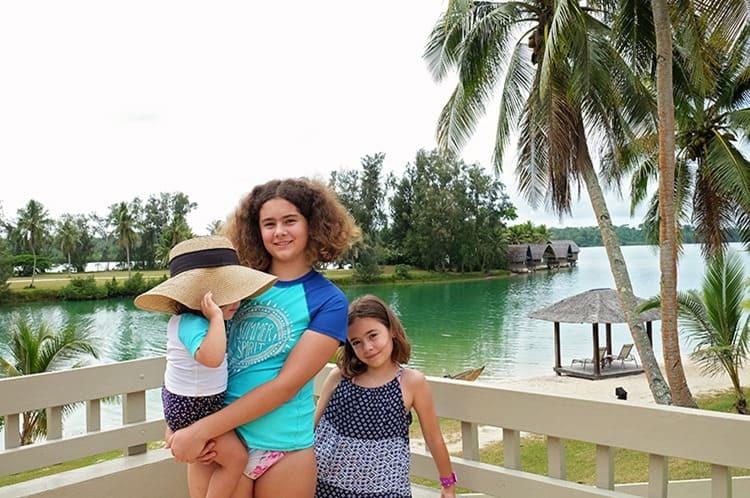 We stayed there as a family of 5 and found that both the rooms, as well as the resort grounds, had everything that we could possibly need for our Vanuatu family holiday. 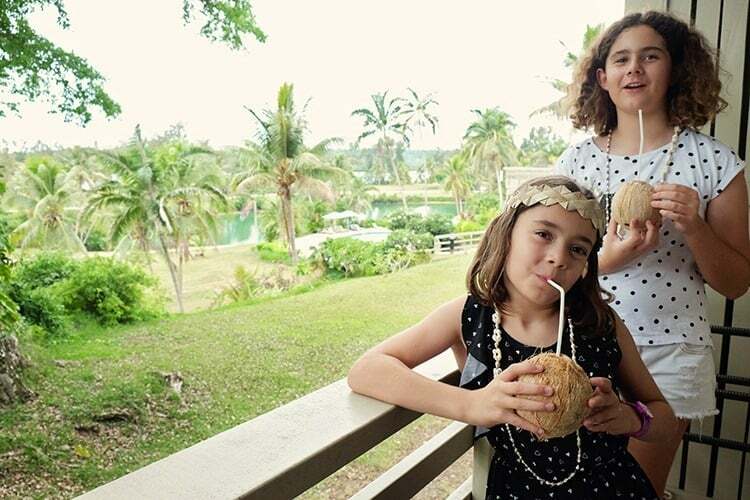 We stayed in a few other resorts around Efate as well and found that Holiday Inn was our pick as one of the best Vanuatu resorts for families. Find more information about why we loved this resort so much in our Holiday Inn Vanuatu review below. Watch our video of our time at Holiday Inn Resort Vanuatu. Find below helpful information about our family stay at Holiday Inn Vanuatu to help you decide whether this is the right resort for your Vanuatu holiday. The lobby is the ideal welcome when guests arrive. We thoroughly enjoyed our special native welcome via means of the shell horn. The kids received handmade headband and special shell necklaces were placed around our necks. We were given a delicious and refreshing coconut welcome drink, which we enjoyed in their tranquil bar area before checking in. All of the rooms in the resort exudes a charming Melanesian ambience that is reflected in the local materials and architecture used in its design. The majority of the rooms overlook the placid Erakor lagoon or has views over the exuberant landscaped gardens. All the resorts' 155 rooms are equipped with LCD TV's. Other amenities include air-conditioning, a stereo system, full-length mirrors, laundry service, international subscriber telephone, alarm clock, hairdryer, shower/bath, refrigerator, iron and board, minibar (for deluxe rooms and bungalows) and 24-hour room service. Some extra touches thrown in include premium linen, free toiletries, tea and coffee maker, free newspapers on weekdays and in-room massages (that you need to pay for of course). Pretty impressive huh! We enjoyed our stay in the beautiful and spacious Family Suite. 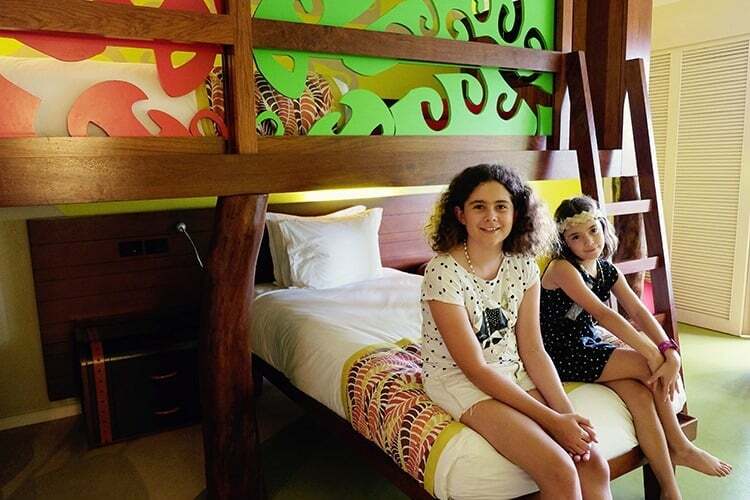 The Suite combines a King Room (for the parents) with a really fun Banyan tree house-themed room for kids. Whilst the parent’s room offers all the elegance and luxury that parents want and need, the kids' room was screaming of fun colours and included some truly unique and adorable statement furniture pieces such as the chest of drawers for the side table. The kids' room also had two TV’s (one downstairs and one for the top bunk bed), as well as a PlayStation (not that we even got around to using it though!). The only challenge was to help the kids settle the argument on who gets the top bed!! (we ended up splitting it up by the number of nights, 2 nights for Katie and 2 for Lily!!). If you feel like treating yourself to something truly special you might like to check out the resort's unique deluxe over-water lagoon bungalows located on the Erongo island. They have family bungalows available for rent and if your kids are older you might want to splurge out and treat yourself to an extra-special stay! With our 1.5-year-old, we thought it best to stay put on dry land haha! For relaxation, the resort's Namele Day Spa offers manicure/pedicure, aromatherapy, body scrubs, facials and beachside massages. 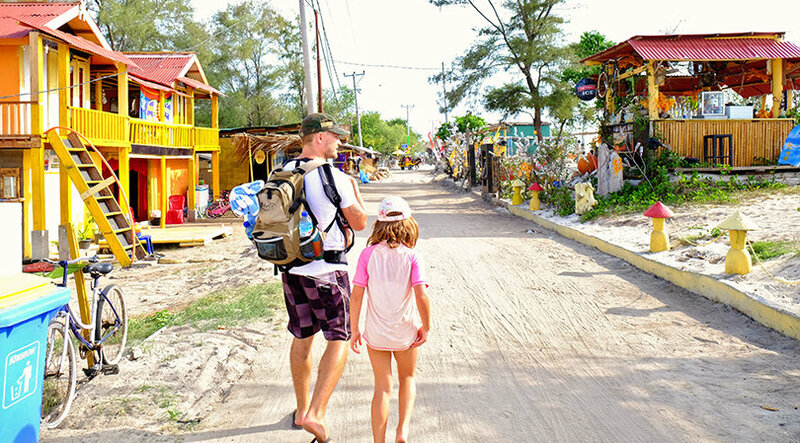 In regard to recreational activities, the level beach and shallow bay make the resort perfect for families with kids of all ages to enjoy. You can choose from a wide range of water sports activities, such as kayaking, catamarans, sailing and paddle boarding. We enjoyed an hour of sailing around the lagoon on one of their catamarans; really beautiful and totally relaxing especially as our youngest was enjoying that hour in the resort’s kids club. Other games on offer include beach soccer, basketball, golf and tennis. Our kids loved the pool area! We loved the beautiful Beach Pool and spent many many hours here. The Beach Pool is brilliant because it has a paddling pool, complete with a mushroom waterfall as well as tipping buckets. The area was shallow enough for us to simply let our kids lose! Even our little 1.5-year-old could play and swim here without us needing to hold her hand all the time. 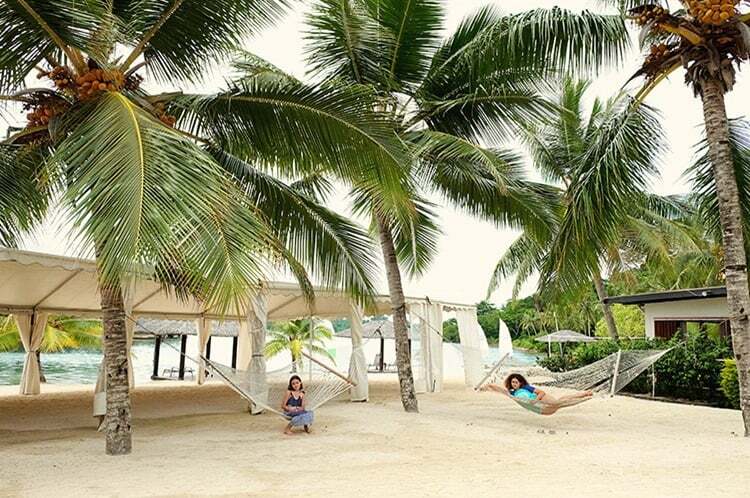 We also enjoyed relaxing on some of the beautiful hammocks that you will find around the beach area of the resort. Who doesn’t love a beautiful white hammock strung up under some gorgeous palm trees!!! That is what I call luxurious relaxation!! Lily and Avalee-Rose also made good use of the game and sand-play area on the beach. They had a variety of games set out on the beach as well as a whole container of buckets and shovels where the kids could build some trenches and sand castles! Features that Families will Love! We always look out for a Holiday Inn when we are travelling, because we always find that their ‘kids play, eat and stay free’ offer allows us to save loads of money in comparison to other hotels and resorts. We found that food was pretty pricey in Vanuatu. At Holiday Inn children aged 12 and below eat breakfast, lunch and dinner free when they dine with an adult, which offer the course of 4 nights really added up in value! We also made use of the kid’s club. The kid’s club runs special activities for the young travellers. Our girls enjoyed braiding their own skipping ropes. The kid’s club is perfect for younger guests aged three to 12 years. For those with little ones under 3 years, you also have the option of paying for babysitting services. When it comes to food you will find that La Verandah Restaurant is the resort's main eating place. 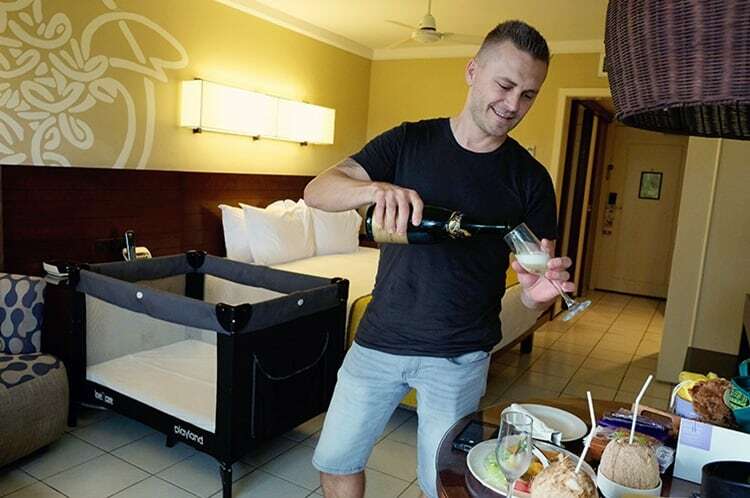 It serves breakfast, a la carte dinners and buffets daily and its expansive wine list features wines imported from France, New Zealand and Australia. It offers a commanding view of the resort's private Erongo island and Erakor lagoon. We were always staring out at the beautiful view whilst eating away. The resort also boasts of a number of bars, including a pool and café bar that stands alongside the main pool looking out to the beach. It offers cocktails, grills, wood-fired pizzas, coffees and ice cream. Guests enjoy a Melanesian feast each Thursday that includes a buffet of local cuisine as they are entertained by authentic Melanesian dancers and music. 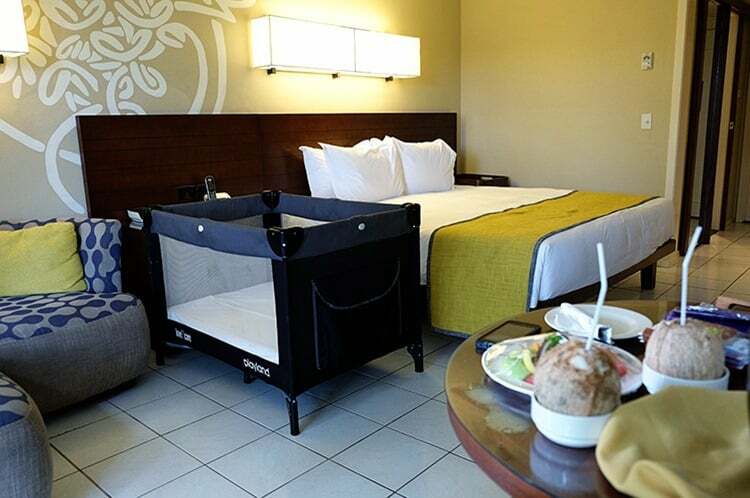 And if like us you have a young child, you also always have the option of ordering your food to your room, so that you can eat in peace, whilst the little one can run around and play. Whilst we really do feel that Holiday Inn Vanuatu is the best place to stay in Vanuatu with kids; we were disappointed with the restaurant food. Whilst we all really enjoyed the large choice and variety of food on offer for the buffet breakfast, we were slightly disappointed by the flavour of the food served for lunch and dinner. Holiday Inn Resort Vanuatu is the perfect South Pacific getaway that offers you the right balance between activity and idyllic relaxation. As proof of its excellent reputation for great service, it has won numerous accolades, including being named the leading casino in Australia, Asia and the entire Pacific region. 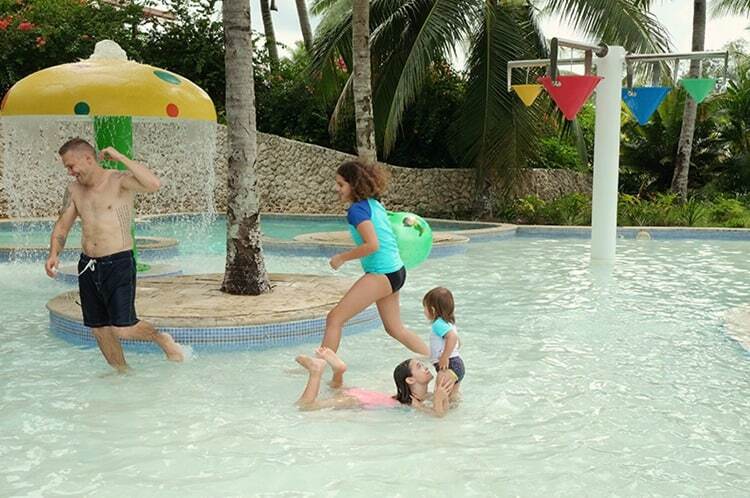 The resort has something for everyone and it is especially a great setting for a holiday with children. You will love the calm atmosphere looking over the lagoon, the numerous fun activities and the friendly staff. We truly feel that Holiday Inn is one of the best resorts in Vanuatu! Special thanks to Holiday Inn Vanuatu for hosting us for our stay. As always, the content & opinions expressed here are entirely our own. That bunk bed is amazing – I’d also fight for a few nights sleep in it! We haven’t stayed in a resort for a long time (usually we’re in hostels or even sleeper trains to save cash!) but this looks like a fantastic place to stay. We’re actually considering a resort holiday for our next trip though for some well needed relaxation – so will keep the holiday inn in mind! I’m loving how Mother Nature is thriving here and that you’ve got views of Erakor lagoon or the landscaped gardens. Good to hear you worked out the top-bunk situation too 😀 This is somewhere I’d consider bringing a friend with me for sure. Yes, definitely beautiful surroundings for sure!! I’ve wanted to go to Vanuatu so much! 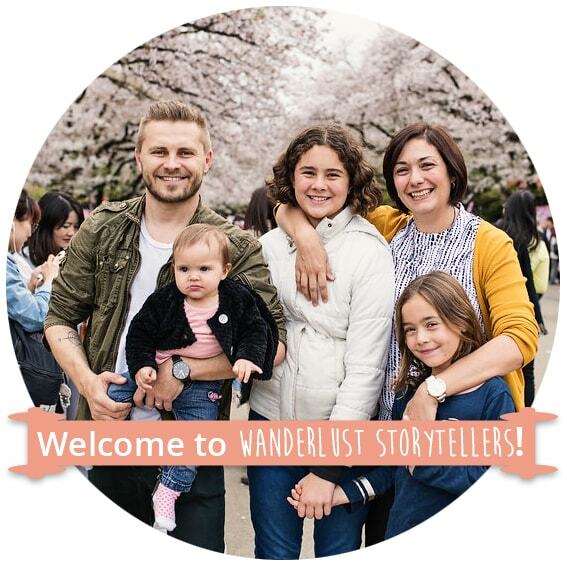 Those water bungalows look amazing, though I agree with you that they’re not the match for travelers with young kids like ours! Yes, but the family suite we stayed in were perfect for our little one though 🙂 Enough room to run and play. I’d be all about the over water bungalows. I love being able to jump right in the ocean from my room. 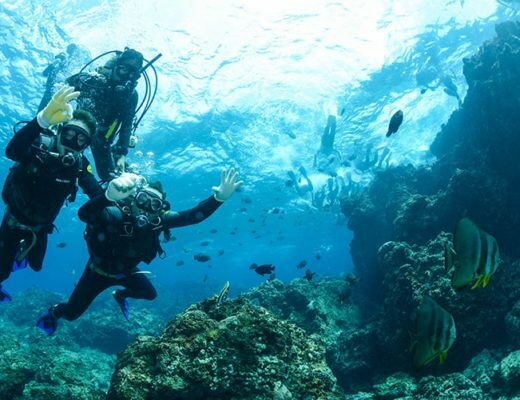 I’ve heard Vanuatu is gorgeous and the diving there incredible. Since the food at the resort was generally a disappointment, were there other options nearby that you could eat at? If not, the food at the resort had better be good and varied. Looks like this place has something for the everyone in the family. The best for the kids look like a fun addition. Would it still be a good spot for a couples holiday? Thanks for your honest review about the food too, it’s always good to see the good and bad. Hi Susanna, great spot for couples too! I know honeymooners love the overwater bungalows here and I have also seen photos of weddings and wedding anniversaries at the resort as do up a beautiful waterside table for dinner! Dang, not going to lie, the words Holiday Inn & Resort dont always seem to match in my head. I mean Holiday Inn hotels are always nice but not what I think when I think of major vacation resort. However, the Holiday Inn Resort Vanuatu has definitely changed my perspective. What a great location. I love the pools and all the stuff to do in or around the beach & lagoons. Sorry the food was kind of a let down for the kids but at least their room is fun! 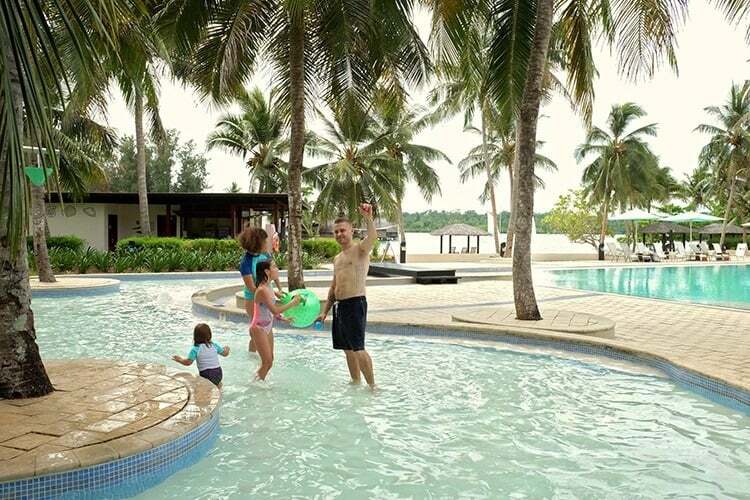 I have always wanted to visit Vanuatu and the Holiday Inn Resort looks perfect for our family! My kids are older and would love the over-water lagoon bungalows. How fun! I would love to be on one of those hammocks right now. Ah yes, I think those bungalows would be amazing!! 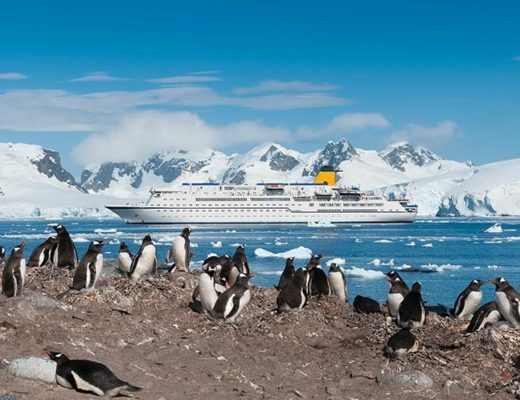 I wonder if they would allow you to tie up one of their catamarans to a post and you can sail over for breakfast haha! I’ve been hearing a lot about Vanuatu lately and this is making me want to go there even more. This looks like one of the nicest Holiday Inns I’ve ever seen and I’d love to go relax by that pool!